George Nathaniel Curzon (1859 – 1925); English statesman. India's most celebrated and eloquent Viceroy, a position he held from 1899 to 1905; created Viscount, 1911; Secretary of State for Foreign Affairs, 1919-1924. A quote: "Dear me, I never knew that the lower classes had such white skins." Desperate in 1921 to prove the Turks imprisoned at Malta guilty of atrocities, Lord Curzon informed Sir A. Geddes, the British Ambassador at Washington, that there was a 'considerable difficulty' in establishing proof of guilt and requested him 'to ascertain if United States Government are in possession of any evidence that could be of value for purpose of prosecution.' He got the famous, "I regret to inform Your Lordship..." reply. Lord Curzon said this to counter Armenian expectations of clearing Turks out of their own land... and he also held Turks in a higher comparative light, at least earlier in his life. At Sevres, he reportedly remarked the conference was nothing but a circus act, and that the main players were the Greeks... adding, "Who is going to be the snake in this circus paradise?" Harold Armstrong (Turkey in Travail") sized up Curzon as "a distinguished amateur diplomatist (with)... an exceptional record of failure." Col. the Hon. Aubrey Herbert (said in the House of Commons): "Lord Curzon treated the Turks as he often treats us — like naughty schoolboys — and we neither of us like it." Winston Churchill said: "In 1915 the Turkish Government began and ruthlessly carried out the infamous general massacre and deportation of Armenians in Asia Minor... There is no reasonable doubt that this crime was planned and executed for political reasons. The opportunity presented itself for clearing Turkish soil of a Christian Race opposed to all Turkish ambitions..." In August 1914, Churchill requisitioned the two already-paid-for warships Great Britain was building for the Ottoman Empire, which nudged the Ottomans into the German camp. He was primarily behind his government's disastrous decision to send forces to Gallipoli. According to the memoirs of Sir George Riddell, a post Gallipoli-burned Churchill, while looking at a map of the region, Riddelled him this: Think what Constantinople is to the East. It is more than London, Paris and Berlin rolled into one. Think what its fall will mean. Think how it will affect Bulgaria, Greece, Romania and Italy, who have already been affected by what has taken place. After the war, he wrote, "In the Treaty of Lausanne, which re-establishes peace between Turkey and the Allies, history will search in vain for the word Armenia." 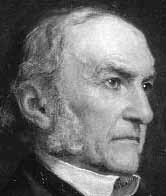 William Ewart Gladstone, British statesman who became prime minister four times (1868-94). In 1880, he changed the policy which had been followed for a century (initiated by Pitt), putting an end to protecting the administrative integrity of the Ottoman Empire. Deeply impregnated by Christian theology, hatred of Islam was one of his strongest actuating motives. Gladstone’s famous 1876 pamphlet The Bulgarian Horrors and the Question of the East (where he inflated the Bulgarian "massacres" out of all contact with reality for domestic political reasons), advocated the removal of the Turks from Europe ‘bag and baggage’... ignoring that many more Turks were massacred by Bulgarians than vice versa. It was not unusual for Gladstone to repeat his typical hot air, with extreme lines such as “We are about to make a treaty with the governing Turk reeking of deeds surpassing in magnitude and vileness the most imaginative pictures of hell ever conceived” ... particularly since his country was entering the planning period for the carving up of the Ottoman Empire, as the Allies finally put into fruition during the war years with their secret treaties. He was quoted in "Armenia and the War" as having said: "To serve Armenia is to serve civilization." Benjamin Disraeli (1804-1881), leader of the conservative party and rival of William Gladstone; together, they instituted policies that would direct British affairs for decades to come. Jewish until his father converted the entire family to Christianity (in 1817), the novelist-Statesman is best remembered for bringing India and the Suez Canal under control of the crown. Disraeli clashed with Gladstone over issues surrounding the Bulgarian revolt and the Russo-Turkish War (1877-78); taking part in the 1878 Congress of Berlin, which redrew the boundaries of South Eastern Europe after the defeat of the Ottoman Empire (see Plevna), Disraeli deprived Russia of many of the advantages of victory and ensured that they did not gain any strategic advantages in the Mediterranean. From Wheatcroft's "The Ottomans" -- "The Dominant Western View of the Ottomans." "In this famous cartoon (Punch, ~ August 1876), Britannia exhorts the torpid British prime minister, Disraeli, to action. Meanwhile, in the background, Ottoman regular soldiers (not wild bashi-bazouks) burn, stab and skewer heads on their bayonets. Maidens are ravaged, and babies dashed to the ground." David Lloyd George (1863-1945). David Lloyd George was one of the commanding figures in 20th-century British politics and the only person of Welsh extraction to become prime minister (December 1916 - October 1922). The lawyer who had opened his own law practice in 1884 was instrumental in planning to carve up the Ottoman Empire among the Allies, in effect wiping the nation off the face of the earth. As much as Lloyd George hated Turks (he called them "a human cancer"), he was also a Greek-lover; he disallowed the publication of the Bristol Report, influenced by Venizelos. (As Erich Feigl notes:) In his well-known flowery style, the statesman described Armenia as a land "soaked with the blood of innocents." Unwittingly, he was telling the truth; however, the blood was vastly helped along with those of Moslems, who in fact had many more dead to mourn than the "Christian" Armenians. Lloyd George was just as much a hypocrite as President Woodrow Wilson and the French leader, Clemenceau (who once said, "I know that Mr. Lloyd George can read, but I do not know if he ever does.") They had all picked out a "romantic" victim and then dropped her by the wayside as soon as she ceased to be useful. Arnold Toynbee, British historian. He was editor of The Bryce Report, the Blue Book of the British... responsible for much of the hysterical anti-Turkish misinformation produced by wartime British propaganda. He became credible again in his later years, writing books such as "The Western Question in Greece and Turkey," where he confessed (on p. 50) that his Blue Book work was "war propaganda." He paid many visits to Turkey in later years, becoming friendly with liberal author Yalman and statesman Ismet Inonu. Separately, both remarked on Toynbee's fierce devotion to Christianity. on this page.) A liberal in the Gladstone tradition, he would become the one Briton most associated with Armenians, beginning with an 1881 talk in Harvard. Produced the Bryce Report, alleging German atrocities in occupied Belgium during 1914... largely discredited in the immediate post-war years, as the report cited unreliable evidence... along with, of course, Turkish atrocities, which are still being cited to this day. 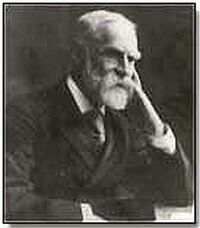 On Oct 6, 1915, Bryce told the House of Lords that 800,000 Armenians had been murdered in six months (! ), displaying incredible access to information from the interior of an enemy country... and he also falsely claimed Armenians were being destroyed as a policy of state, and that there were orders to this effect (too bad he came up short with the goods when his government desperately searched for such evidence, during the Malta Tribunals; British writer Philip Knightly critiqued Lord Bryce's propagandistic aspect as a writer with a “Dr. Goebbels style.”). Bryce believed that the Turkish government ‘deserves to die’ (acc'd to Akaby Nassibian's 1984 book) and is reported to have said: "Things which we find scarcely credible excite little surprise in Turkey." To get a further idea of Bryce's bigotry, he seconded Edmund Burke's words that the Turks are "worse than savages," concludes that nothing moves the Turks but "fear," and laments that the "speedy extinction of the Turkish power by natural causes" won't be happening soon enough. ("The Armenian Question," The Century, 51:1, Nov 1895.) No doubt there were times Turkey was surprised, upon coming across the scarcely credible war-propaganda sponsored by Lord Bryce and his ministry, mainly prepared in hopes of forcing the United States into a war with the Ottoman Empire... and to further justify his nation's Ottoman-land grab after the war, secret treaties firmly in place. Baron Hans Von Wangenheim was Germany’s ambassador to the Ottoman Empire. Ambassador Morgenthau cast him to come across sort of like Conrad Veidt's villainous Nazi role in CASABLANCA, in his ghostwritten Ambassador Morgenthau's Story... ("Physically he was one of the most imposing persons I have ever known. ...He was six feet two inches tall; his huge, solid frame, his Gibraltarlike shoulders, erect and impregnable, his bold, defiant head, his piercing eyes, his whole physical structure constantly pulsating with life and activity---there stands, I would say, not the Germany which I had known, but the Germany whose limitless ambitions had transformed the world into a place of horror. ") and was later criticized by another American for misrepresenting the German ambassador's character. Otto Liman Von Sanders, WWI general; head of the military mission sent by the Kaiser to Istanbul in the latter part of 1913, to reorganize the Turkish army in preparation for the coming war, and a commander at Gallipoli; he had much respect for Atatürk. 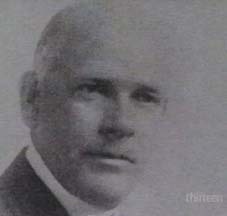 Von Sanders served as witness for the defense at the trial of Talat Pasha's assassin. Bronsart von Schellendorf, Chief of the General Staff of the Turkish Field Troops, was so incensed at the "kangaroo court" proceedings of the cursory Tehlirian trial, where no witness for the prosecution was called, that he wrote an article for a German publication. "Eye witnesses, who had seen the truth were not called. Why did one not take the statements of German officers, who were assigned at the time and were there to see the results of Armenian atrocities?" he wondered, going on to explain: "Since all the able Moslem men were in the army, it was easy for the Armenians to begin a horrible slaughter of the defenseless Moslem inhabitants in the area. They did not just go against the Turkish Eastern front army from a flank or at its back, but they simply cleaned out the Moslem inhabitants in those areas. They performed gruesome deeds, of which I, as an eye witness honestly say that they were much worse than what Turks have been accused of as an Armenian atrocity." Von Schellendorf termed Talat Pasha "no thoughtless murderer, but a far sighted statesman," and had only one reason to write his report, since the war was all over: "To help truth find its rightful place." Franz Werfel (1890-1945) Austrian author of the world-famous novel, The Forty Days of Musa Dagh, the American edition of which was the basis for his worldwide fame. A friend of the author, Albert J. Amateau, related that the story was told to Werfel by the Armenian Bishop of Vienna and Werfel never investigated what he wrote. Years later, when the true facts about Musa Dagh were established by the research of neutral investigators, Werfel discovered that he had been duped by his friend, the Bishop, with a concocted story. Werfel became subsequently remorseful for having written that story, in which he had blamed the Ottomans as the aggressors and terrorists; however, the damage was done, and the book would continue to influence generations to come, as it still does so today. Nicholas II, Czar of Russia (1900-1917), called upon the Armenians living in the Ottoman Empire to unite with their brethren in Russia. He was the last in a long line of czars, beginning with Peter the Great, who would make promises to the Armenian people that Russia had no intention of keeping. Yet, time and again, the Armenians blindly closed their eyes and preferred to get hoodwinked by their great Orthodox "protector." On September 16, 1914, Tsar Nicholas told the Ottoman Armenians that 'the hour of liberty' had 'finally sounded' for them. Two months later, he privately told French ambassador Maurice Paléologue ("An Ambassador's Memoirs," 1925, which also utilized the practice of false quotation marks a la "Ambassdor Morgenthau's Story") "Ought I to annex Armenia? I shall only do so if the Armenians expressly ask me to." That's pretty much what the Armenians did ask of the Russians, a few years later (when the czar was long gone). The ardently nationalist autocrat and anti-Semite encouraged the Jewish pogroms that necessitated finding an alternate villain (i.e., the Turks) for Americans and Europeans, to take the heat off this member of the Allies... activating the propaganda machinery in fuller force. Tsar Nicholas repressed opposition, subjugated dissident minorities, and horribly treated German and Turkish prisoners of war, many of whom died as a result. Nicholas and his entire family were cold-bloodedly murdered by the Bolsheviks. Colby M. Chester, Rear Admiral, United States Navy. The New York Times editor describes: "...One of America’s most experienced naval veterans. He was graduated from Annapolis in 1863, and served in the Civil War. He was one of Theodore Roosevelt’s closest friends, and for years has been an observer of world affairs." Chester wrote one of the few favorable articles regarding the Turks, and came under vicious attack. Arthur Tremaine Chester, son of Rear Admiral Colby M. Chester, was the rare American of the period who got the chance to get up close and personal with the Turks. The representative of the U.S. Shipping Board in Istanbul, he would go on to build railroads for the newly formed Republic, and to head the "Chester Project," developing natural resources. Like his father, Chester was one of the few Westerners who saw through the thick smokescreen of propaganda; his "Angora and the Turks" appeared in The New York Times. Admiral Mark Lambert Bristol (1868-1939) fought in the Spanish-American and First World Wars, and served as the Commander of the U.S. Naval Detachment in Turkish waters and as the U.S. High Commissioner to Turkey (1919-1927); he witnessed first hand the Turkish War of Independence, the formation of the First Turkish Republic, and the early years of its existence. His papers, consisting of some 33,000 items, include reports, diaries, correspondence, copies of official dispatches, telegrams and appointment sheets... almost entirely ignored by Western scholars who take it upon themselves to study Turco-Armenian relations. Many of these wish to dismiss Bristol by painting him as "anti-Greek," "anti-Armenian," and "pro-Turkish," which is odd for a man who had written, "I have no use for the Turk." The truth is, Bristol looked at the situation even-handedly... much in contrast with the American ambassador at the time of the "Genocide," whose testimony one Armenian professor prefers to classify as "unimpeachable." Henry Morgenthau (1856-1946), lawyer, real estate developer, was United States ambassador to the Ottoman Empire during the Armenian "Genocide." Hoping to get the United States involved in the war, the ambassador freely accepted at face value any and all reports critical of the Turks, as they arrived from the network of U.S. consuls, relying mainly on the claims of Armenians and missionaries. It didn't help that Morgenthau had an unabashed, racist dislike for Turks, looking upon them as inferior beings... and outraged that any Christian should be ruled by such a subhuman race — a view shared by many of his contemporaries... including most of his Consuls. Although Jewish, Morgenthau fancied himself a hero of Christians, as evidenced by his continued articles for the Armenian cause (especially in his succeeding role as Vice-Chairman of Near East Relief, an organization that vilified the Turks in order to raise money... becoming the most successful charity in American history) and by his egoistical decision to appear in the 1919 film, RAVISHED ARMENIA, as himself. (In his book, the superior American tells Talat Pasha that his "affairs are too important to be trifled with," after which Talat buckles under.) He allowed his Armenian secretary to elaborate on his own writings, further suggesting doing so would let him off the hook for "any error." A ghost writer scribed the commercially popular "Ambassador Morgenthau's Story," which deviated, at times significantly, from the letters and diaries it was based on; the book is still referred to as one of the big bits of evidence for the "Genocide," complete with presenting the made-up quotes by Turkish officials as authentic. One reason why Morgenthau — who was a Zionist — portrayed the Turks as evil incarnate was to goad the USA into war, in hopes of paving the way for a Jewish homeland. The book contains many racist lines such as, "The Turks, like most primitive peoples, wear their emotions on the surface..."; no wonder the Armenians hero-worship this man. Leslie B. Davis, United States foreign consul in the Harput region of Turkey from 1915 to 1917; he is a "big gun" of the Armenians, a so-called "eyewitness." His reports were turned into an independently published book entitled "The Slaughterhouse Province." As with his fellow consuls and Morgenthau, much of his information was filtered through employed Armenians. James G. Gerard was not exactly a major player, but was such a fanatical Armenophile, deserves mention. The former ambassador to Germany served as president of the ACIA, the forerunner of ANC. Set up by Vahan Cardashian (below), who broke Armenophile Rev. Barton's heart (see below) with ad hominem attacks. (Barton wrote, in his reply to Bristol, that "Gerard signs anything that Cardashian writes.") James Gerard was so hateful of Turks, he suggested they could be dealt with by adopting the US system of park-like reservations as were used for the American Indians. (Not removed from the idea of the Sèvres Treaty, actually.) Source: Nicole and Hugh Pope's Turkey Unveiled, 1998, p. 60 (Comite national d'etudes sociales et politiques, seance du 13 janvier 1919, in N. Politis, Les Aspirations sociales de la Grece, Paris 1919. Thanks to Mustafa). The Reverend James Barton was in charge of N.E.R. James L. Barton D.D., Secretary of the Foreign Department of The American Board of Commissioners for Foreign Missions; in his response to Admiral Bristol's letter, he was heartbroken most Armenians did not appreciate his diligent efforts on their behalf, and further reported: "With reference to the false reports that come through reporting massacres of the Armenians by the Turks. There is no one who can deprecate this more than I do." On the other hand, the reverend compiled a volume entitled, "Turkish Atrocities," after asking missionaries in 1918 to file their detailed reports. Gregory Topalian, who reviewed the volume in an Armenian web site wrote: "James L. Barton collected these reports because he was afraid that the genocide of Armenians might be denied. He writes, 'Even Lord Bryce’s book upon the subject is seriously questioned in some quarters.' He may therefore be seen as a visionary, as he saw the seeds of denial quite obviously already planted in 1918. The Gomidas Institute and Ara Sarafian should be commended for bringing these reports to the public domain." Cyrus Hamlin, born 1811, descended from French Huguenots, married thrice, missionary in Turkey working mostly with Armenians (1838-1860), and first president and co-founder of the American missionary college in Istanbul (Robert College,1860). The reverend was aware of London's propaganda bureau (established in the 1870s) which had, for its objective, the foreign spreading of news that made the Turks and Muslims look bad. He wrote that the ongoing attack on the Turks of this “one-sided and unreliable information” about any people would, "after a long period of unchallenged time, would create hostility and hatred that would not be easily overcome.” Dr. Hamlin appealed to missionaries to denounce "the abominations" of Armenian terror in an 1893 American magazine article, but his near-lone voice of sanity among the Christian flock was ignored. However, Dr. Hamlin was far from on the side of the Turks; the missionary in him apparently didn't care much for the Ottomans, as (in the article) he sniffs the country is "bad." He also wrote an article the following year entitled, "The Genesis and Evolution of the Turkish Massacre of Armenian Subjects." Aram Andonian, writer and forger, who had separately published a 1920 book ("The Memoirs of Naim Bey") in three languages (English, French and Armenian), either referred to or printed so-called “documents” that he attributed to the Ottoman leaders, principally to Talat Pasha... never being able to show the originals of the so-called “documents,” later claiming to have “lost” them. While the victors of the First World War were searching all corners for such documents to accuse the Ottoman leaders, then detained in the Island of Malta, they chose not to assess the “telegrams” fabricated by Andonian. Aram Andonian eventually admitted, in a letter (July 26, 1937) to an Armenian lady (Mary Terzian) residing in Geneva (Switzerland) that his book was not a historical piece, but a propaganda work, and that others used it freely in the way that they preferred. Hagop Andonian was Ambassador Morgenthau's right hand man who may have played a significant part in making up "Ambassador Morgenthau's Story." He apparently typed the transcript called "Diary," among the collections of Morgenthau papers. Likewise, he probably also prepared the lengthy weekly letters to members of Morgenthau's family. The American ambassador wrote that this relieved him "of all responsibility for any error," and these were the writings that formed the basis of the book. Morgenthau further wrote that his secretary's services were "indispensable." Andonian followed his boss to America, and was a guest at Morgenthau's dinner table and even a sometime movie companion; eligible for the draft in 1918, Morgenthau got him out by insisting his friend's services were indispensable for the writing of his book. Andonian might have been related to fellow maker-upper Aram Andonian, as it has been speculated "Andonian" is not that common a name in the Armenian community. Arshag K. Schmavonian was employed by the United States Embassy in Istanbul for over sixteen years, as a legal advisor and translator, and Morgenthau, not knowing any of the languages spoken in Istanbul, extensively relied upon him. He accompanied the ambassador on almost every official visit and also to meetings with American businessmen and missionaries. Schmavonian assisted the ambassador in the writing of his cables. He was later transferred to Washington, where he remained "Special Advisor" in the employ of the U.S. State Department. He died in January, 1922. Boghos Nubar Pasha (1851-1930) was one of two Armenian delegations sent to the Paris Peace Conference; his letter published in the January 30, 1919 edition of The Times of London openly spells out the true belligerent nature of the Armenians during the war. so that he could not have been with his family at the time of the "deportation," as he falsely testified, where his entire family was said to have been exterminated. However, one of his brothers had also joined the Russians. After the war, he joined the A.R.F. 's "Nemesis" assassination squad and the hit man also took the life of a fellow Armenian, Mugerditchian. Assuming the New York Times got it right, the killer also heroically shot and wounded Talat Pasha's wife, a crime for which he apparently wasn't even tried... in a post war Germany scared to death of being blamed for the "genocide." 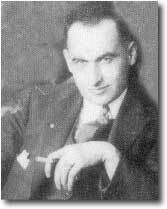 Vahan Cardashian was the role model for today's practitioners of pro-Armenian propaganda, claiming anything that is expedient regardless of truth, and engaging in vicious ad hominem attacks. (Fittingly, he came under attack from fellow Armenians, as well... chiefly for being "pro-Turk," of all things.) Cardashian even went after die-hard friends of Armenians, such as the Rev. James Barton and President Woodrow Wilson (see "Wilson, the Wrecker of Armenia"), when these folks would not go far enough for Hai Tahd. He got his start in the USA by bamboozling an older wealthy American woman who made it possible for him to attend Yale Law School; he promptly divorced her afterwards. The Ottoman embassy in the USA was kind enough to hire Cardashian, and the lawyer rewarded them by passing on secrets to the Allies. (Beware of the legendary story of his resigning in disgust, once he found his family to be victims of the "genocide"; he was caught spying and was fired in late October 1915. See "Life and Papers of Vahan Cardashian, Armenian Review, 10:3-39 Aut. 1957, p. 104.) The unethical Dashnak was appointed director of the A.R.F. central committee media office in 1918, a close confidante being the terrorist Armen Garo. (In the USA as Armenia's minister, soon to direct the hit man squad NEMESIS.) In 1919, Vahan Cardashian established the American Committee for the Independence of Armenia (ACIA) in 1919, which developed into today's Armenian National Committee (ANC, or ANCA). Frighteningly, one member among many other American Turcophobes was Charles Evans Hughes, soon to be a Chief Justice of the U.S. Supreme Court. James Gerard (above) called Cardashian a "one- man army who did more to help lick the awful Lausanne Treaty in America than any other single American or group of Americans." Drastamat Kanayan, a.ka. "General Dro," whose last name means "one who bleeds" in Turkish, but this mass murderer knew how to make others bleed. His reputation made by massacring women and children (that is, apparently, the coward literally targeted women and children) of Muslim villages during World War I, the general put his "skills" to work for Adolf Hitler a few decades later. Commander of the infamous 812th Armenian battalion during World War II; possibly nicknamed as the 'Jew Hunter' by the Nazis. Condemned to be shot by a firing squad of Stalin's goons, the Diaspora Armenians smuggled him into the USA by reportedly bribing INS (Immigration) functionaries. He lived in the United States until his death in Massachusetts, in 1956. The Nazi-hunting Simon Wiesenthal organization must have ignored him because he was only a poor, innocent Armenian (and Holocaust Man Elie Wiesel evidently does not even care), and Dro not only escaped justice, his remains were flown into Armenia in 2000 (once Armenian-Americans reportedly raised almost a quarter of a million dollars in just two days) and honored in a huge ceremony by that country's president and chief patriarch. Mustafa Kemal Atatürk refused the dictates of the Sevres Treaty and of his own post war puppet Ottoman government, threw back the invading Greeks, and accomplished laser speed-incredible deeds in the turning around of his nation that would have normally taken generations. A look at Ataturk's real and forged "Armenian" statements. The "Triumvirate," or whom the Armenians look upon as the Unholy Three, were the main bosses of the Committee for Union and Progress (ITTIHAD ve TERAKKE PARTISI). The Young Turks forced the Sultan to reinstate the constitution in 1908, ending his stronghold regarding the general running of what was left of the declining Ottoman Empire. Ismail Enver Pasha, Minister of War, sometimes referred to as "suave" and "dashing," made what some considered an unwise "sink or swim" decision of involving his decaying nation in the First World War, followed by a disastrous military campaign in 1914-15 Sarikamish. Regarding the Armenians, in early 1918 he won back (until late 1918, when the region was dictated by the Allied Dominion Forces) the districts of Kars, Ardahan, Batum etc. which contained a large Armenian population, where ordinary Armenians might not all have been treated respectfully by the invading Russian troops, in line with historical Russian treatment. A description from Morgenthau's book, telling more about the man the book was named for than about Enver Pasha: "The European polish which Enver had sedulously acquired dropped like a mask; I now saw him for what he really was---a savage, bloodthirsty Turk." When he was the hero of the hour, many in the Muslim world were named after him, including Egyptian President Anwar Sadat. He was interviewed by the hostile New York Times on April 20, 1915; here's a quote: "We Turks have long been denied a fair hearing before the public. We are so used to slander that we are now willing to convince the world with arms that we are not the ethnological carcass some claim." 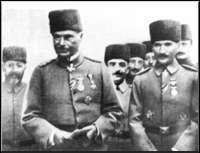 Enver Pasha was probably killed by Bolsheviks when he tried to recapture his former "glory" in the post World War I Soviet Union.